I started this year with the intention of enjoying more stays on home turf than usual - and I'm pleased to say, I've kept to the plan! Knowing good weather was on the horizon, I booked a stay in Bournemouth for last week, packed my suitcase and headed for the beach. Having only ever spent fleeting moments at the seaside resort, I was pretty excited to spend a few slow-paced days there. It was the kind of staycation that had no pressures, no plans and no rain - bliss! So, with three days to play with, what was on the agenda? The year before last, I'd treated my dad on Father's Day to afternoon tea at the Highcliff Marriott Hotel. It's safe to say I left with a really good impression of the hotel on the hill, seeing it become my automatic first choice for accommodation in Bournemouth. Staying in a Sea View Superior Room, the views were incredible and served as the dreamiest start and finish to each day. Believe me when I say you can very quickly become attached to the sound of waves and seagulls joining you for breakfast. A highlight of the hotel has to be the hilltop location, it reminded me in so many ways of my fave Agatha Christie's Poirot locations - there's even a funicular running down to the beach, directly beneath the hotel! My advice? Book a room with a view, no compromise. Needless to say, the weather will vary. However, as with most UK seaside resorts, there's a general unspoken rule when it comes to the dress code in summer: keep it casual, and wear layers. You never know when the sun will come out and toast you - and/or convince you to whip down to the beach! Personally? I opted for a combination of denim, skirts and loose-fitting tops. 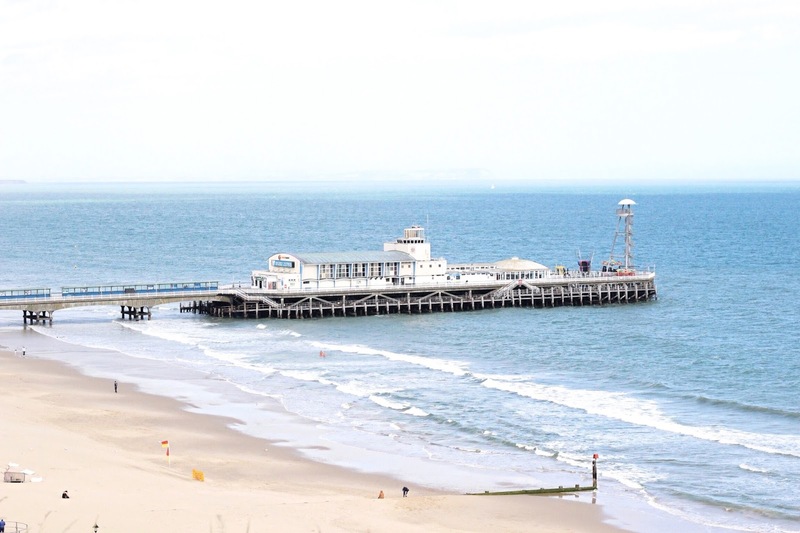 You're unlikely to come across any high-heels in Bournemouth (I know, it was a core-shaking discovery), but the low-key nature of the place totally accommodates it and before you know it, you are at one with trainers and sandals. There are just as many elderly people in the area as there are young students, and so it's fascinating to see the mix of fashions and cultures - particularly by night in the Botanical Gardens, for some reason! 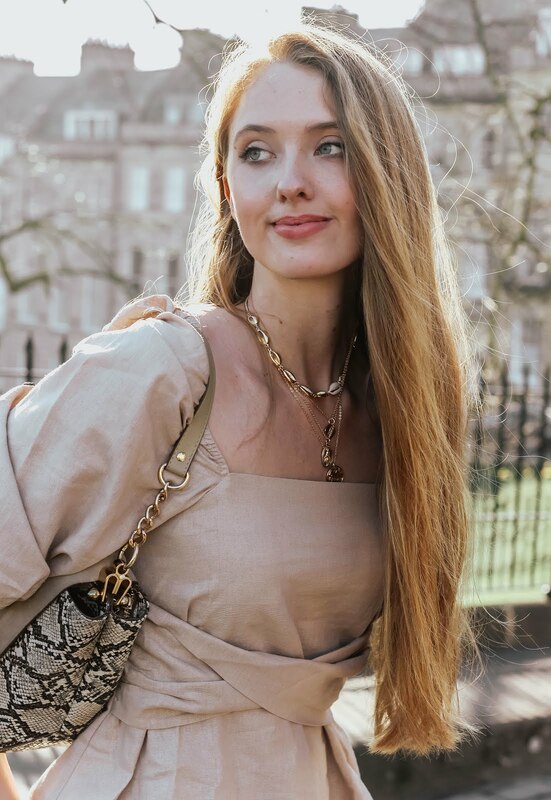 Lightweight and loose-fitting blouses for summer can be total life savers, so I've done the hard work for you and listed a few below - happy browsing! Okay, so most food eaten on this staycation was done either at the Highcliff Marriott Hotel, or while walking from one place to another; chocolate in one hand, diet pepsi in the other. Oops. I'll be the first to admit my diet can get pretty unhealthy when travelling! However, when I wasn't munching on the go, a low-key meal at Prezzo was on the cards in a striking corner period building, along with a snack in the café of the Russell-Cotes Art Gallery & Museum (blog post coming soon). Oh and don't forget to dip into Harry Ramsden's for 'world famous' fish and chips! Seriously, is there anything better than enjoying breakfast in your dressing gown while gazing out of the window? 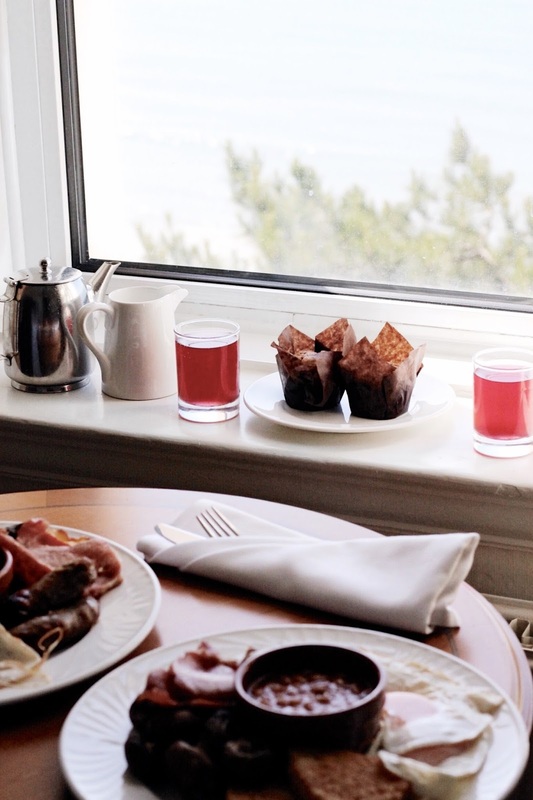 Should you find yourself staying at the Bournemouth Highcliff Marriott Hotel anytime soon, be sure to pop a couple of muffins on your room service request and wake up a little earlier than usual. During the summer, each early morning brings out the joggers, swimmers and dog-walkers. 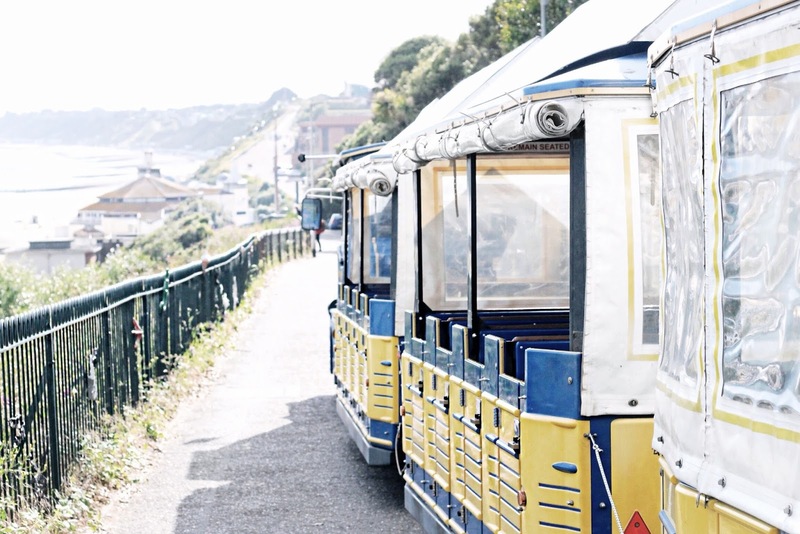 It's easy to fall into a fairly slow pace while visiting Bournemouth, the atmosphere is relaxed and nobody seems to be in much of a hurry. That said, there's still quite a bit to keep you occupied! Above all else, you have to visit the Russell-Cotes Art Gallery & Museum; the museum is full of treasures from all over the world, the gallery is extensive and even includes a dreamy, designated Pre-Raphaelite section, and the gardens are spectacularly beautiful - complete with rose arches and a fountain! Walking alongside the beach (and pier) is a task in itself and one that can take hours depending on how far you're willing to walk. Also, alongside the more well-known features, such as the big wheel, there are relaxed gardens just 50m away; an equal distance from both beach and shops (mostly the usual high street suspects). My advice would be to enjoy the gardens by day, as the atmosphere changes quite a bit past 9pm. The weather couldn't have been better in Bournemouth, as the UK has been enjoying a surge of heat lately! Truthfully, I had no idea I'd find the seaside resort so relaxing; it has a funny way of calming you down and reminding you there's no rush - at least, when the sun shines! 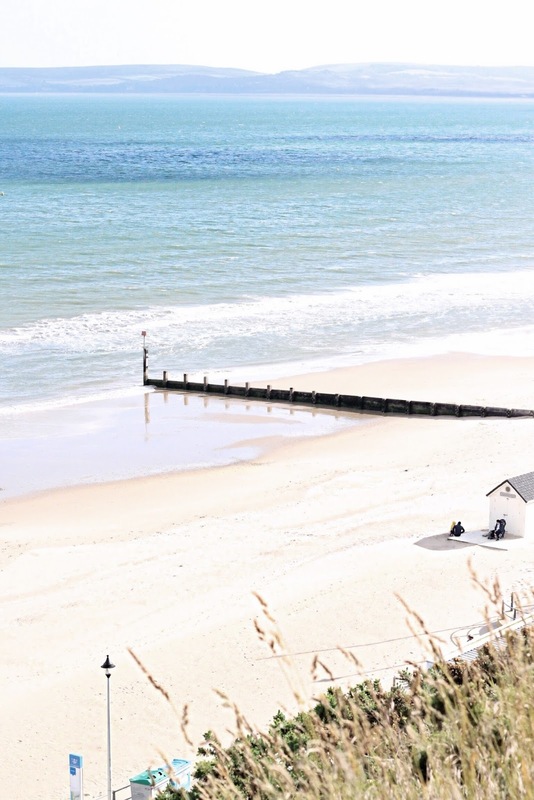 Have you visited Bournemouth before? I'd love to hear your thoughts on the place! I envy you UK residents for your easy access to the seaside. For me here in the south of Germany, any shore is at least ten hours drive away. And a weekend spend at the seaside in summer? It sounds like a dream. I love a good staycation! And your pictures are stunning, thanks for sharing! Your photos are absolute stunners!!! 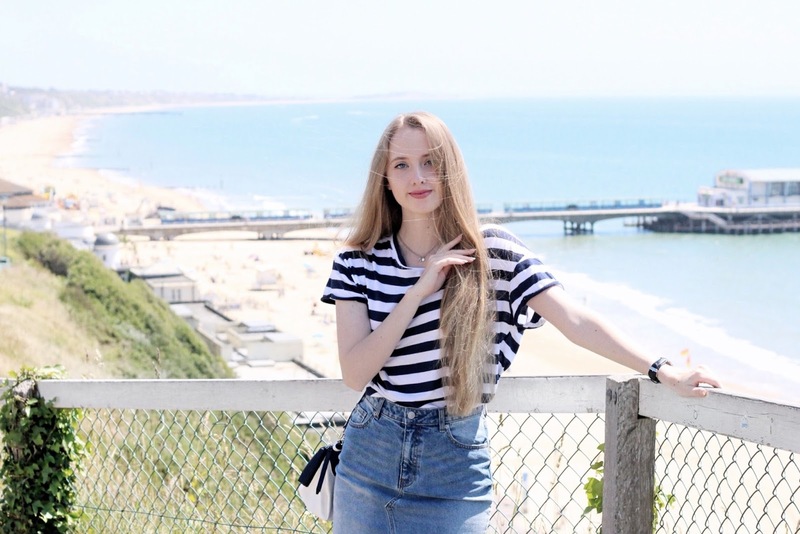 Bournemouth is one of my favourite places to visit and I love all your pictures!! I'm desperate to do the zip wire from the end of the pier to the beach!! 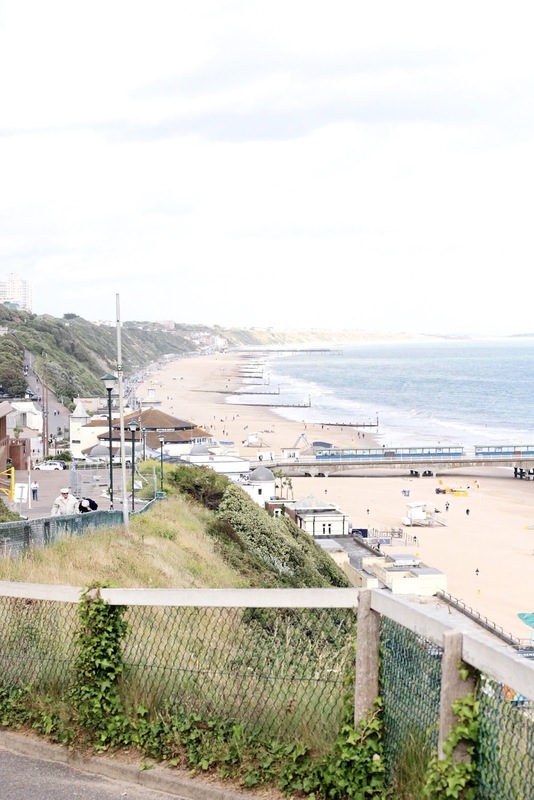 I went to Bournemouth about 4 years ago and loved it; such a stunning seaside town! These pictures look so beautiful lady - I hope you had the most relaxing stay! <3 P.s that top looks SO beaut on you! I went here when I was about 5 and I loved it. I don't know why I haven't been back?! I think Brighton stole my heart tbh! Such lovely photos and I'm really pleased you had a lovely time! Such lovely place for a getaway! Seems so pretty and relaxing! 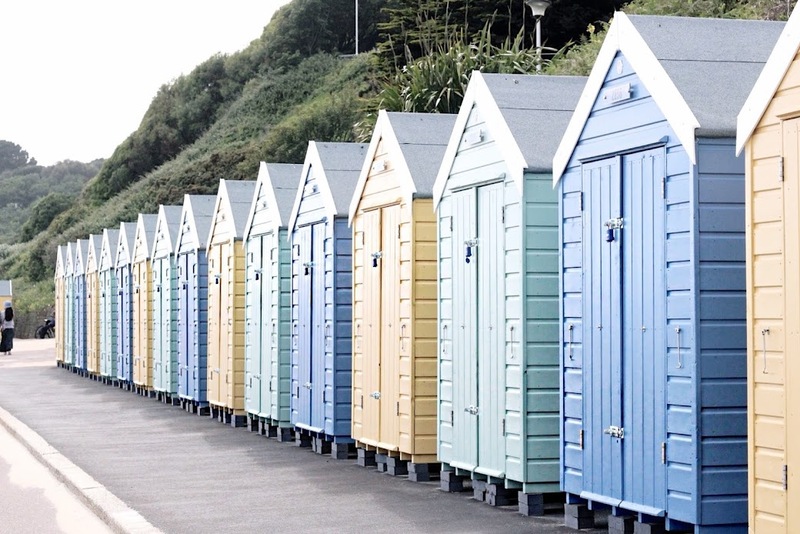 OMG those beach huts - I feel like I need to go to Bournemouth now, they are so pretty! I've been there once but it was for a cheerleading competition and we didn't really leave the arena, so I definitely need to explore it properly at some point. 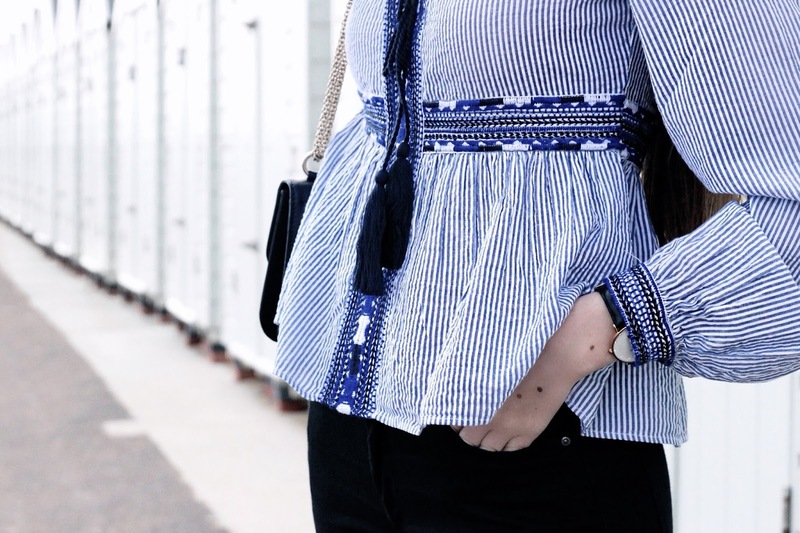 Love that top you are wearing too, perfect for British summer and so pretty! Bournemouth is a lovely place to visit, and those pictures show the whole essence. Thanks for sharing and greetings to you! There are so many treasures right around us! What a beautiful place and they did leave a wonderful impression for you to return. Love your suitcase and that red tote. 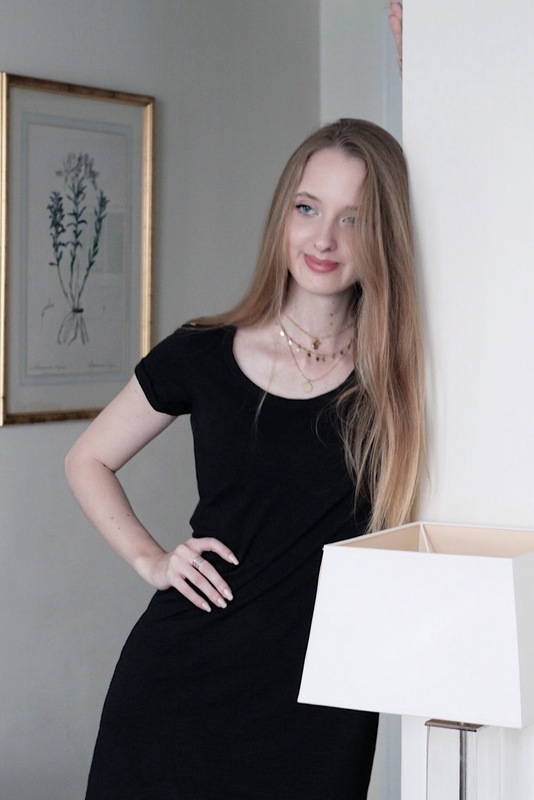 Beautiful post with great photos! The area looks very peaceful and your outfit were really nice. By the way, We have the same jeans skirt (yay). What a stunning post Gabrielle filled with so much information! Bornemouth is a beautiful place and have only visited once with my parents on a camping trip many years ago! It would be great to re-visit it sometime. The gardens sound lovely and I can quite happily imagine myself strolling through them admiring the beauty and soaking the atmosphere in. The Highcliff Marriott Hotel sounds like a lovely place to stay and nearby to so many wonderful things. This place is looking so great, the hotel room is looking so comfy and you are looking so gorgeous. Definitely a great place to go, thanks for sharing dear! I haven't been to Bournemouth yet, but it seems like such a lovely seaside town! It's true though that the weather can be a little unpredictable, so wearing layers is a good idea. The Pre-raphaelite section at the museum is good reason enough for me to go there, I love it! I've never been there but it looks so charming and enjoyable! These photos are so cute and I hope you enjoyed! I also love room service for breakfast. That looks like a really dreamy way to spend a few days. And you look gorgeous in that lightweight, billowy striped blouse. I'm sure that those chocolates consumed will not be at all visible on your ultra slim figure! It looks like you had an amazing time there. I would with these gorgeous views! Ahh, I love living vicariously through your travel posts, both on home turf and not. You always seem to know how to travel just right. Also, I adore that Ralph Lauren bag. It's gorgeous! LOvely place to travel! You even look sooo prettty while travelling! NEW TIPS POST | Protect You HAIR Before and After The SUN! 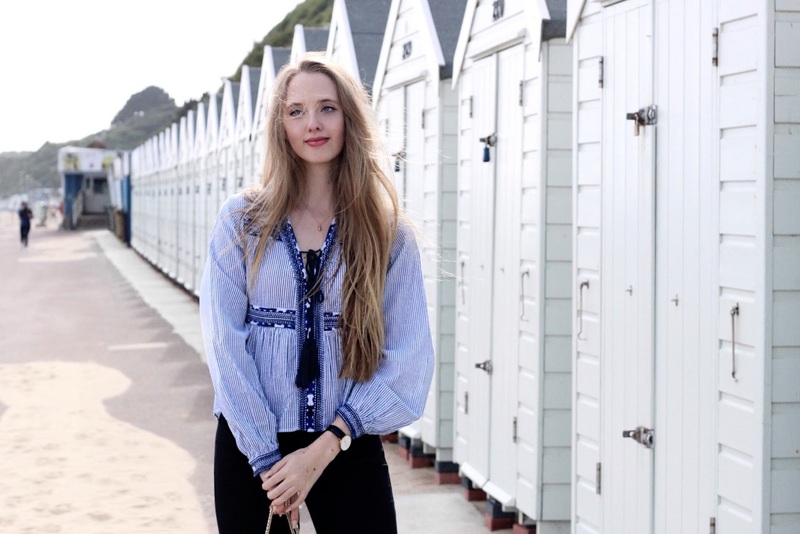 Denim, skirts and loose tops- that's the perfect wardrobe for seaside. It is important to feel comfortable...and at the same time no need to give up on things we love. You look dreamy! I would love to visit UK seaside. Well, I would love to visit UK period. It certainly looks like you couldn't have chosen a better time to visit the Bournemouth Highcliff Gabrielle! What spectacular views and weather. My husband and I have also resolved to have more NYC staycations this year. It really gives one a new perspective and appreciation for their local surroundings. It sounds like you had a really great time! So pleased! I think I need a little break away somewhere. Love your photographs! I've only been to Bournemouth a few times, but I'd love to do what you did and spend three days without any plans, just doing whatever you feel like. Sounds like bliss to be honest. And the weather was sunny?? You got so lucky with that haha, I just went down to Wales and it was sunny for a day before the weather flipped, and it;s been pouring ever since (yes, I am pissed at that haha). I fully adore your photos, every time I visit A Glass of Ice I feel like my photography is seriously lacking, because your images are all so gorgeous! That art gallery you mentioned honestly sounds amazing, and considering the location I think I must give it a go when I'm back down. This looks like such a great stay, glad you had a good time! I've never been but it looks beautiful. I would definitely enjoy a visit there. I've never been to Bournemouth but it looks lovely. And even regardless of where you went getting away for a few days is always a great thing to do, but particularly somewhere nice by the ocean with a casual vibe, I'm sure it was really relaxing. I’ve seen these cute little colored houses in movies before but I never knew where they were. The Marriott High Cliff looks pretty darn cool Gabriella. I LOVE LOVE LOVE fish and chips so I’m sure Harry Ramsden’s fish and chips would blow my mind. I’m all for room service, there is nothing better than eating breakfast in your robe. Already in love with this place from these photos even thought I've never visited. I can totally see myself spending all my time by that sea. It's beautiful. The view that you had is amazing, you looked so cute! OMG, this place girl. I could stay here forever. Paradise. And your outfit is on point as always. It looks like an amazing post. I feel so inspired to explore my homeland - it's no excuse to travel now since I don't need to travel abroad! 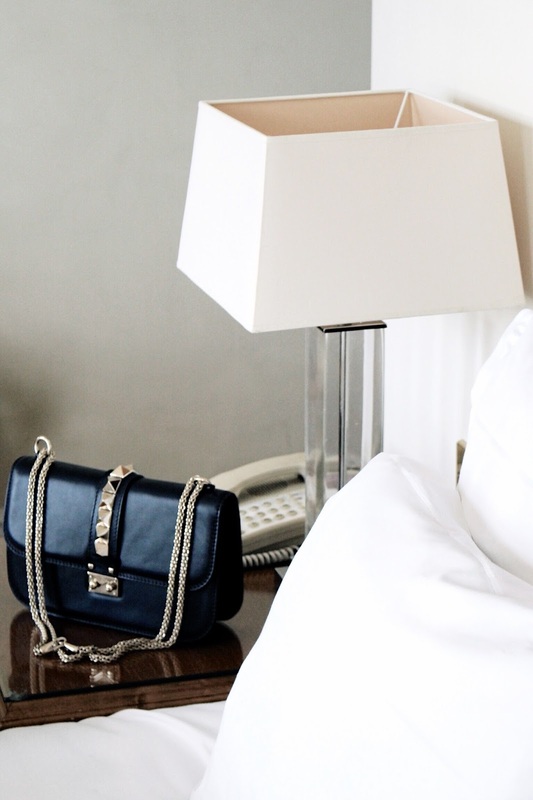 I absolutely love reading staycation reviews because they feel so much more achievable! I've actually never been to Bournemouth but would love to book in something by the seaside where we could take Luna. That beach looks perfect to while away the hours at! I've heard about this place! I hope one day visit it! I actually have never been to the UK, so it is delightful to see so many of the places you are visiting Gabrielle. The place looks darling! Loved seeing these seaside images, they really make me regret not venturing down to the seaside the last time I visited London though (oh well, there's always next time?). You also had me at fish and chips, fish and chips by the seaside while I'm relaxing literally sounds perfect. Oh, lovely impressions! 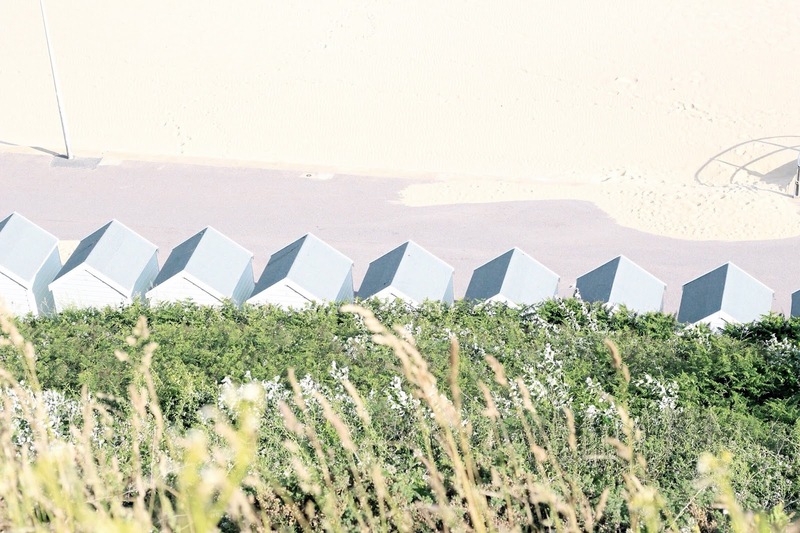 I love the look of those retro beach huts but I haven't had the chance to visit Bournemouth yet. Will need to do that sometime! Have a wonderful week!